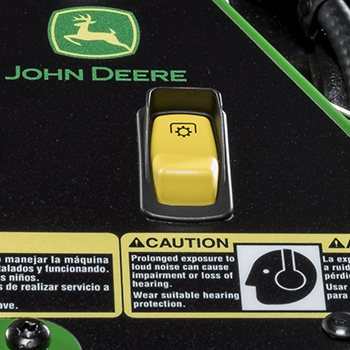 A powerful, 300-CCA battery is secured and protected from damage in an easy-to-access location. 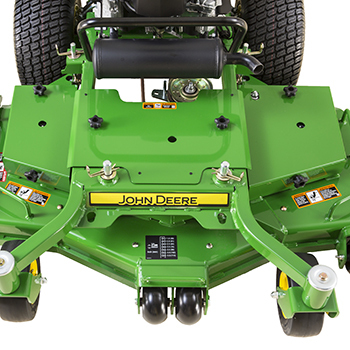 Reinforced front and side lower edge provides strength and durability. 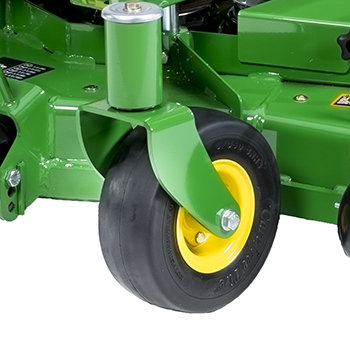 Anti-scalp wheels are double-captured for durability and adjustable to three positions to suit the cut height. 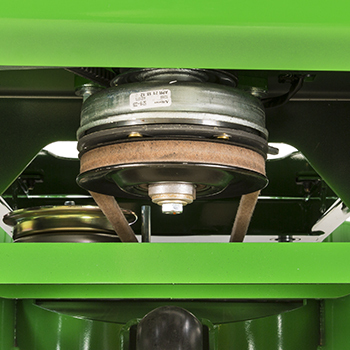 Hardened, high-lift steel blades extend cutting time and increase durability. 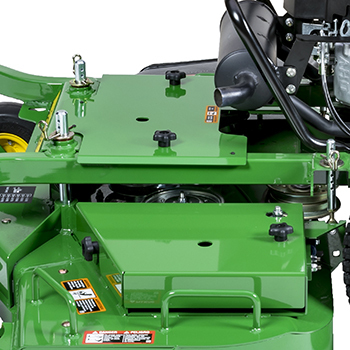 High blade-tip speed of approximately 18,000 fpm (5,486 m/min). 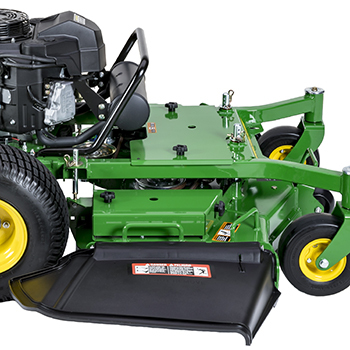 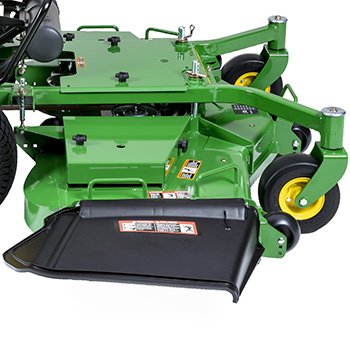 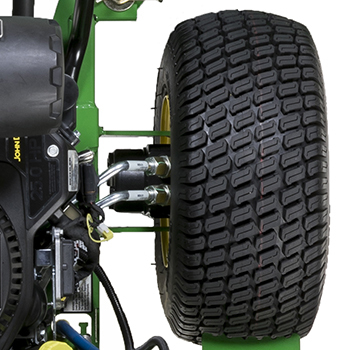 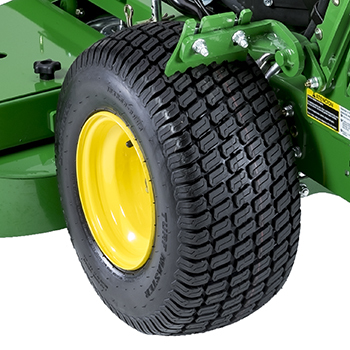 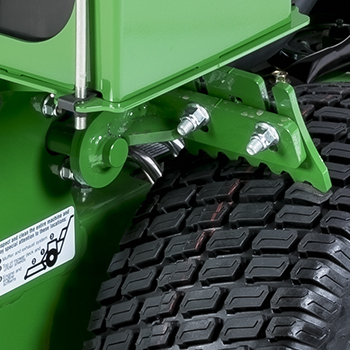 R Series mower decks include a center rear wheel for additional anti-scalp and curb climbing protection. 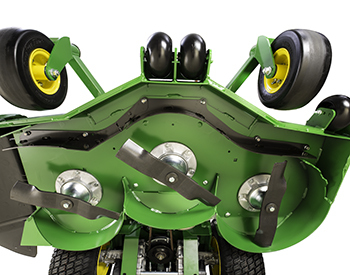 Wide, formed discharge deflector gives even clipping distribution. 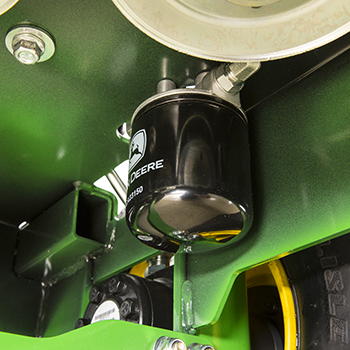 Easy-attach belt shields allow quick access for service. 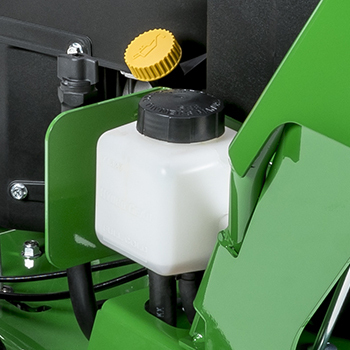 Large, 4.4-cu ft (3.5-bu) capacity allows for less stops to empty catcher. 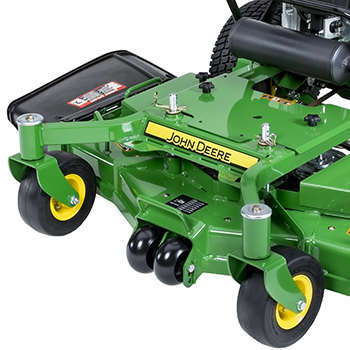 No mower faceplate is needed. 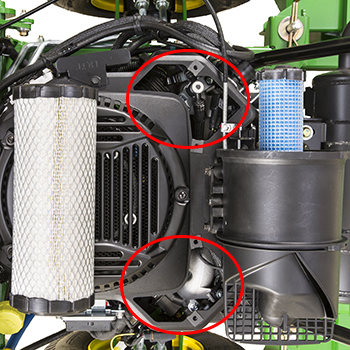 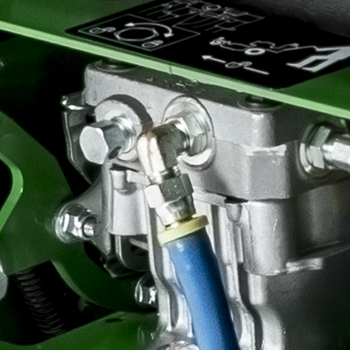 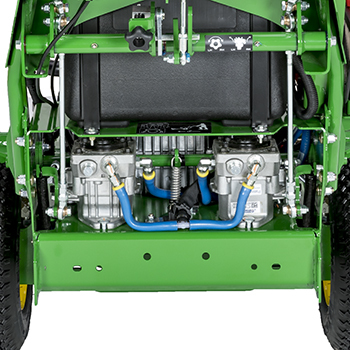 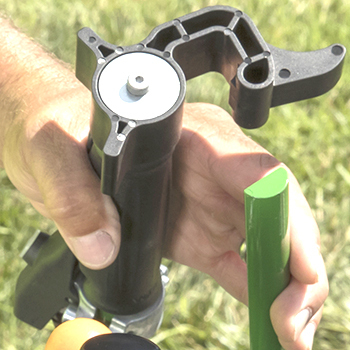 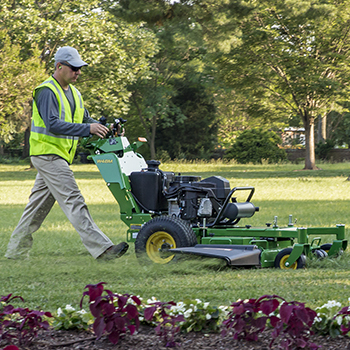 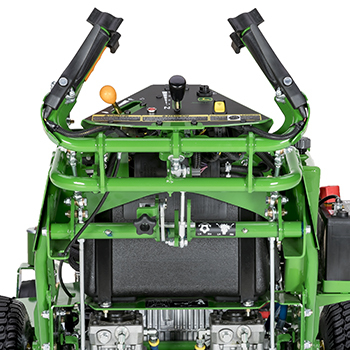 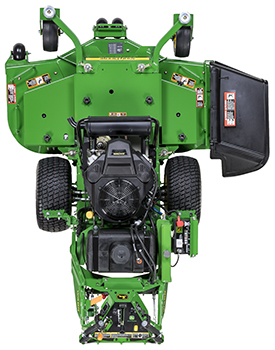 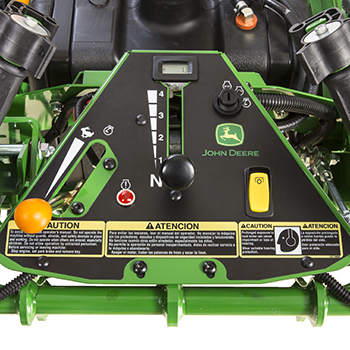 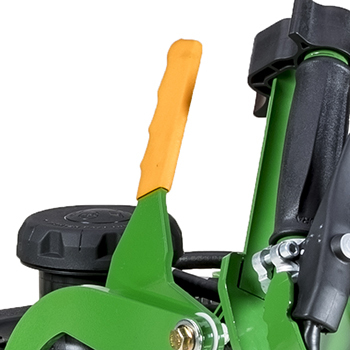 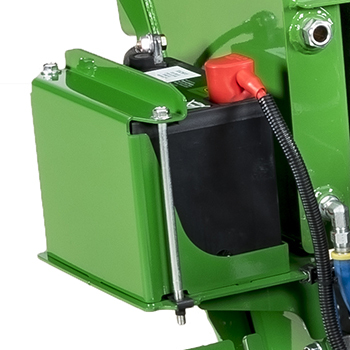 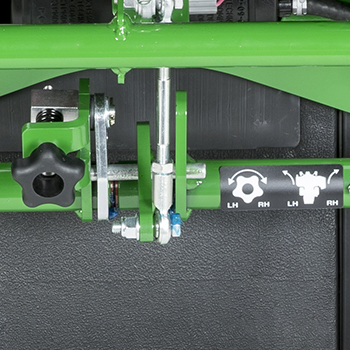 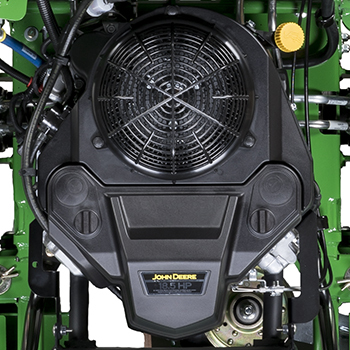 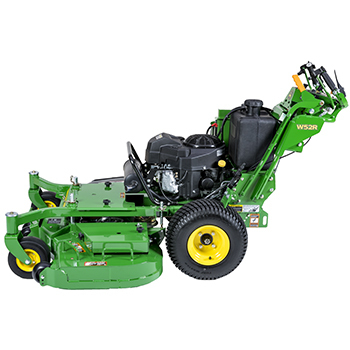 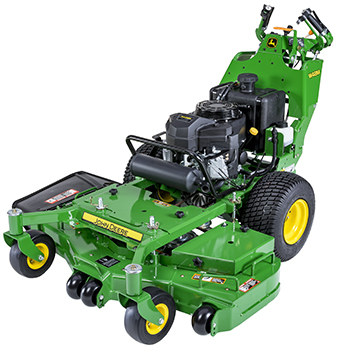 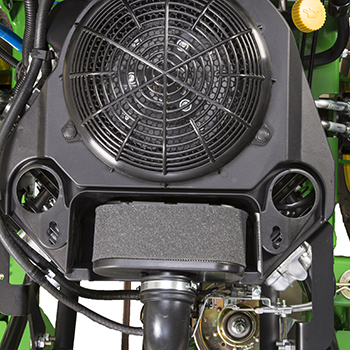 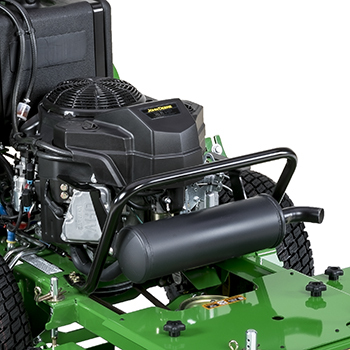 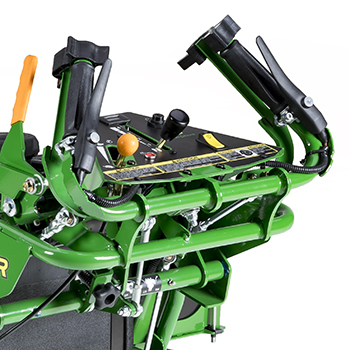 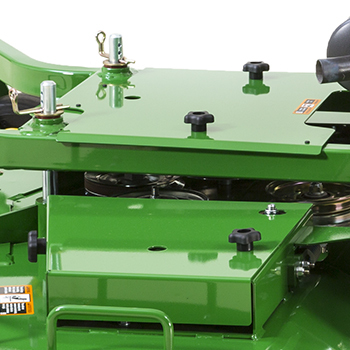 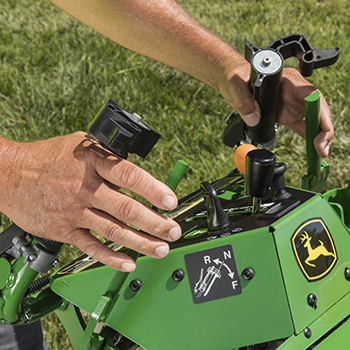 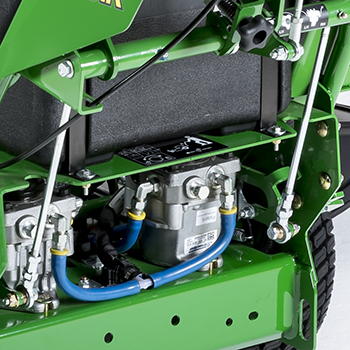 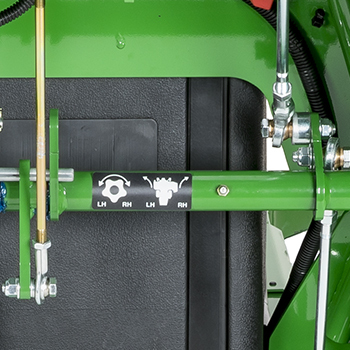 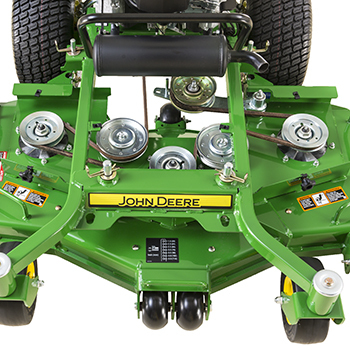 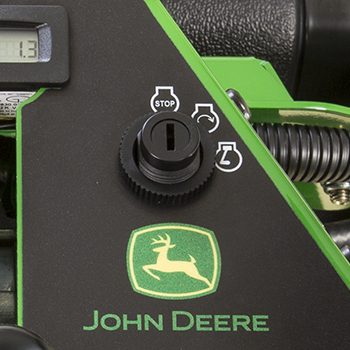 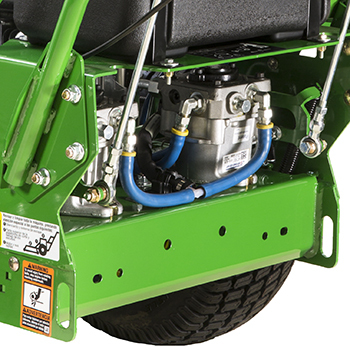 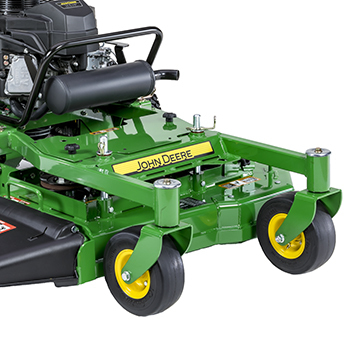 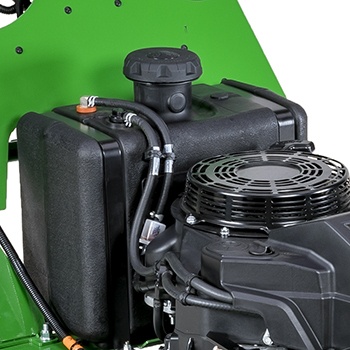 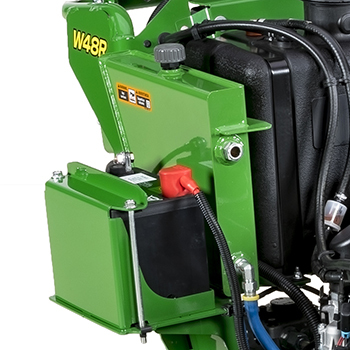 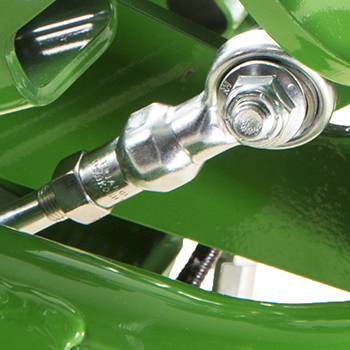 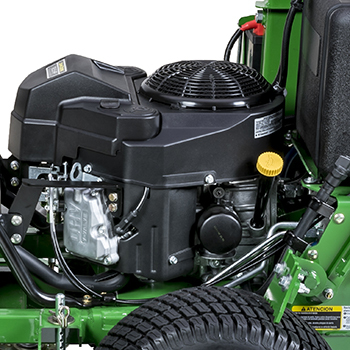 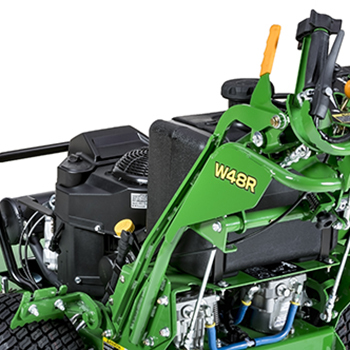 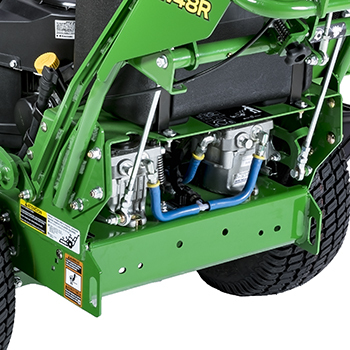 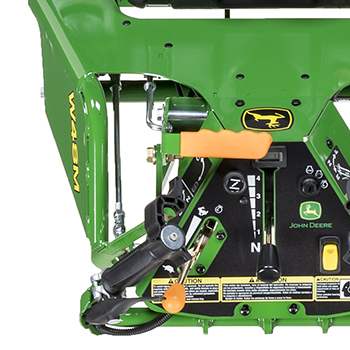 The catcher connects directly to standard mower deck features. 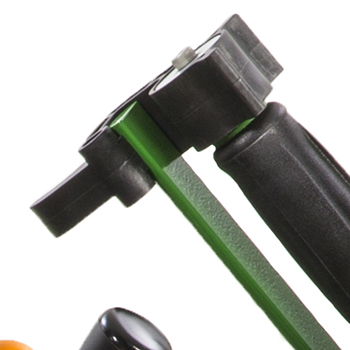 Stainless steel and aluminum construction is both durable for long life and lightweight for easy handing. 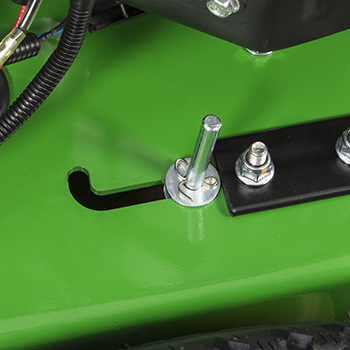 Convenient sliding door latch enables easy emptying. 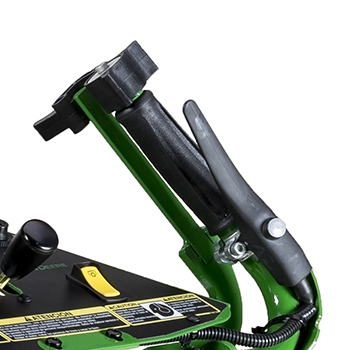 Two large grab handles allows for easy handling. 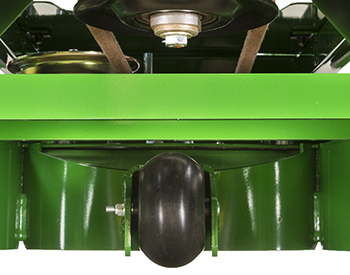 Catcher weighs about 30 lb (13.6 kg) empty. 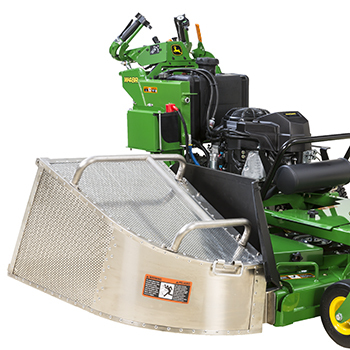 NOTE: The optional mulch and grass catcher attachments are not included in base equipment for the commercial walk-behind mower and must be ordered separately. 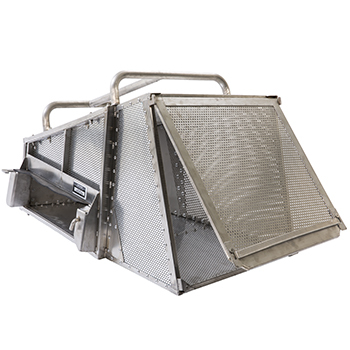 Large, 4.4-cu ft (125-L) capacity for less stops to empty catcher. 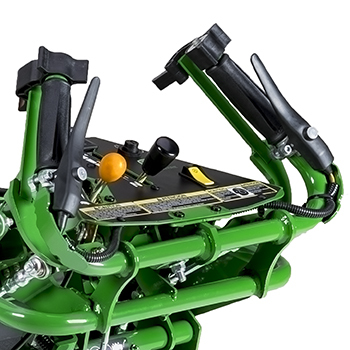 Two large grab handles provide for easy handling. 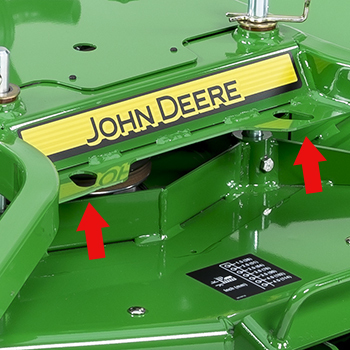 Deflector down - 62 in. 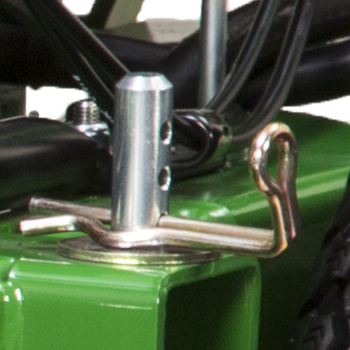 Deflector up for storage - 50 in.